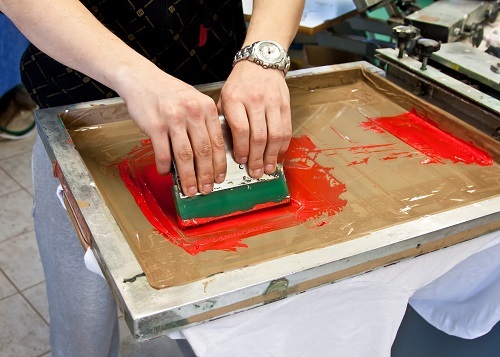 If you want cheap screen printing to help promote your Perth business, think again. As the old saying goes, “you get what you pay for.” This is especially true in custom screen printing and embroidery. When you decide to screen print t-shirts or polo shirts, you are doing it to advertise your company. The good news is that every shirt you have printed becomes a walking representative of your company. The bad news is that every shirt you have printed becomes a walking representative of your company. Whether your shirts bring good news or bad news depends upon how they look. Cheap screen printing can look like exactly what it is: cheap screen printing. It can be substandard in design and execution. If it looks good, it’s more by accident than by design. When you buy your printed polo shirts or t-shirts from ImagePak Marketing, you know you are getting the best. The garment will be of the highest quality. It will look great and it will last a long time. It will be a great representative for your business. Not only will the garment itself be great, but so will the printing. We can provide screen printing, embroidery or sublimation. Screen printing has one flaw: it can wear off of your shirt. The cheaper screen printing is, the more likely it is to wear off. Our screen printing and our garments are designed to last a long time. Our favourite process now is called sublimation. This is a process in which the colours are dyed into the fabric. That means the design lasts as long as the garment does. If your shirt is accidentally washed on the wrong cycle, your design won’t end up in the washer like it can with cheap screen printing. Don’t risk your reputation on cheap screen printing. To learn more or to place an order for custom printed t-shirts or polo shirts, call ImagePak Marketing today: (08) 92444 111.